People recommended this installation guide also for Red Hat Fedora Core 2. Some of the Oracle errors and problems covered here were only experienced in connection with 9i (9.0.1) and some only with 9iR2 (9.2.0). But since I cannot say for sure that a 9i (9.0.1) installation error will never show up during 9iR2 (9.2.0) installation, I simply kept all errors and problems listed together, see Oracle Installation Errors and Oracle Installation Problems, Important Tips and Hints. In order to install an Oracle9iR2 database on RH AS 3, the "Oracle9iR2 Patch Set 3 9.2.0.4.0" patchset and some other patches must be applied. Some errors can only be fixed by applying the 9.2.0.4 patchset. For more information, see Running Oracle Installation on Red Hat Enterprise Linux Advanced Server 3. Red Hat 9 includes the Native POSIX Thread Library (NPTL) which is an improved implementation of POSIX threads for Linux. But using NPTL will cause several problems for Oracle applications. Note that Oracle9i has not been certified on Red Hat 9! So to fix this problem, you can set the environment variable LD_ASSUME_KERNEL to 2.4.1, which means that the old "Linuxthreads with floating stacks" implementation will be used. Otherwise the Oracle installer runInstaller will hang, the Database Configuration Assistant dbca won't start etc. ; see Oracle Installation Errors for more information. To see where this environment variable can be set, see Set Oracle Environments. For more information on LD_ASSUME_KERNEL, see Red Hat Linux 9 Release Notes. NOTE: Before you install Oracle9iR2, make sure that you first read the information about the error message "Error in invoking target install of make file /u01/app/oracle/product/9.2.0/network/lib/ins_oemagent.mk" in the Oracle Installation Errors section! "Error in invoking target install of makefile /u01/app/oracle/product/9.2.0/ctx/lib/ins_ctx.mk"
But this does not necessarily mean that you won't see other problems described here. See Oracle Installation Errors for more information. To download Red Hat Linux 7.x, 8.0, 9, check the links at http://www.puschitz.com/LinuxDownload.shtml. You can find the installation guides for installing Red Hat Linux under Red Hat Linux Manuals. NOTE: You cannot download Red Hat Linux Advanced Server 2.1, you can only download the source code. If you want to get the binary CDs, you will have to buy it at http://www.redhat.com/software/linux/advanced/. You don't have to install all RPMs when you want to run an Oracle9i database on Red Hat Linux. For instance, if you install Red Hat Advanced Server, you are fine when you select the Installation Type "Advanced Server" and when you don't select the Package Group "Software Development". There are only a few other RPMs that are required for installing Oracle9i. These other RPMs are covered in this article. Or when you install Oracle9i on Red Hat Linux 7.x, 8.0, or 9, you are fine when you select the installation type "Server". (You can get the dev numbers when you execute cdrecord -scanbus). In order to perform. a typical Oracle 9i installation and to create a simple prototype database, Oracle says that you need a minimum of 512MB of RAM for the Oracle9i (9.0.1) Server, and the amount of disk space (swap space) should be equal to twice the amount of RAM or at least 400 MB, whichever is greater. I tried to test the limits on an older PC with 256 MB of RAM and with 600 MB of swap space. I was able to install Oracle 9i (9.0.1 & 9.2.0) and Oracle's default database without any problems. But when I used less swap space on this PC (256MB RAM), I was runnig out of memory. So I definitely recommend to use more RAM and/or more swap space as specified in the Oracle installation guide. NOTE: If you do not have enough swap space or RAM during the Oracle installation, in particular during the database creation, your Oracle server (Linux) will temporarily become unresponsive to any events for several minutes. For more information on correctly sizing the swap space for your database, see Sizing Swap Space. It is recommended to increase the shmmax setting permanently for Oracle. For more information, see Setting Shared Memory. For more information on optimizing shared memory settings for Oracle databases on Linux, see Setting Shared Memory. These parameters apply to all Red Hat Linux versions. But note that except for the shmmax parameter, these parameter do not need to be changed for installing Oracle on Linux. But you might want to adjust all shared memory settings later to optimize the server for Oracle. The Oracle Universal Installer requires up to 400 MB of free space in the /tmp directory. You will need about 2.5 GB for the database software. If you perform. a typical database installation and not a customized database installation, then you will need about 3.5 GB of disk space. Skip this step for Oracle9iR2. I did not experience this problem with Oracle 9i (9.2.0), but only with Oracle 9i (9.0.1). "Error invoking target install of makefile /u01/app/oracle/product/9.0.1/plsql/lib/ins_plsql.mk"
And fix this problem as described in Oracle Installation Errors. I recommend this approach since it obviates the need to change binutils. NOTE: Always ensure to use the latest RPM versions! NOTE: Before you install Oracle9iR2 on Red Hat 9, make sure that you also read the information about the error message "Error in invoking target install of make file /u01/app/oracle/product/9.2.0/network/lib/ins_oemagent.mk" in the Oracle Installation Errors section! See also Oracle9i Release Notes Release 2 (9.2.0.4.0) for Linux x86 for the list of required RPMs. For xorg-x11-deprecated-libs-devel and xorg-x11-devel I had to install the following RPMs. Note that these two packages are required for the Oracle patch 4198954 below. You can use the up2date command for any packages. It takes care of dependencies by installing all required packages automatically. In this example, make sure that the /u01 filesystem is large enough, see Oracle Disk Space for more information. If /u01 is not on a separate filesystem, then make sure the root filesystem "/" has enough space. Set the following Oracle environment variables before you start runInstaller. # RHEL AS 3, and RHEL AS 4 !! You can put these environment settings at the end of the ~oracle/.bash_profile file if you use bash. By this way you don't have to set the environment variables again when you login as "oracle", or when you switch to the user "oracle" by executing "su - oracle". Before you continue, make sure you have set the Oracle environment variables, see above. Oracle no longer supports a character mode installer. Therefore, in order to execute runInstaller directly from a console of a machine you are logged into (in this example the node name where Oracle is running is called "oracleserver"), you need to set the DISPLAY environment variable. Before you do that, make sure that you also allow runInstaller on "oracleserver" to display X information on your Linux desktop machine (in this example, the PC name where you are running X Windows like KDE or GNOME is called "yourdesktop"), because programs running on remote machines cannot display information to your screen unless you give them the authority to do so. Note that the X display relink mechanism does not work for NT desktop machines unless you use Exceed. Before you run runInstaller, execute e.g. 'xterm' to see if your X setup is really working! If you install Oracle on your desktop PC and not on a remote node, then you can skip step 1 and 3. Step 2: Open a new window and login to the Oracle server "oracleserver" as root. This window will be used for mounting and unmounting the Oracle CDs. Step 4: Now execute runInstaller as "oracle". Do not cd to /mnt/cdrom !! Don't run runInstaller for Red Hat Enterprise Linux Advanced Server 3 (RHEL AS 3) yet! See Running Oracle Installation on Red Hat Enterprise Linux Advanced Server 3 for more information. Keep in mind that you may get one or more errors here during the Oracle installation! See Oracle Installation Errors for more information. You could also use "dba" which I do not recommend for security reasons. When to use "OINSTALL" group during install of oracle. In order to install an Oracle9iR2 database on RH AS 3, the "Oracle9iR2 Patch Set 3 9.2.0.4.0" patchset and some other patches must be applied. Some errors can only be fixed by applying the 9.2.0.4 patchset. To resolve the __libc_wait symbol issue, download the p3006854_9204 patch p3006854_9204_LINUX.zip from http://metalink.oracle.com. See bug 3006854 for more information. $ echo $LD_ASSUME_KERNEL    # it is important that this variable is set! - Available Products:   Select "Oracle9i Database 9.2.0.1.0"
- Available Products:   Click Next or add some more components. - Create database:      Select NO since we first have to patch Oracle before a database can be created! - Configuration tools:  Tools won't come up. Simply ignore it. - At the end of the installation, exit runInstaller. Error in invoking target install of makefile /u01/app/oracle/product/9.2.0/network/lib/ins_oemagent.mk. Click ignore. This will be fixed by applying the patch 3119415 after the 9.2.0.4 patchset has been applied. You won't be able to apply the patch 3119415 at this time since the file /u01/app/oracle/oraInventory/ContentsXML/comps.xml doesn't exist yet. Error in invoking target install of makefile /u01/app/oracle/product/9.2.0/ctx/lib/ins_ctx.mk. Click ignore. This is fixed by applying the 9.2.0.4 patchset. To patch Oracle9iR2, download the Oracle 9i Release 2 Patch Set 3 Version 9.2.0.4.0 for Linux x86 from http://metalink.oracle.com. - Available Products:   Select "Oracle Universial Installer 2.2.0.18.0 !" - At the end of the installation, you must exit runInstaller! - Available Products:   Select "Oracle9iR2 Patch Set 3 9.2.0.4.0 !" Click ignore. This will be fixed by applying the patch 3119415 after the 9.2.0.4 patchset has been applied. The patch 3119415 cannot be applied while the patch process for the 9.2.0.4 patchset is running. After the 9.2.0.4 patchset has been applied, download the patch p3119415_9204_LINUX.zip from http://metalink.oracle.com. See bug 3119415 for more information. Also, download the opatch Release 2.2.0 utility from http://metalink.oracle.com. See bug 2617419 for more information. Before you apply the 3119415 patch, you need to make sure the fuser binary can be found by the oracle user, see the PATH environment variable below. Otherwise the patch can't be applied because the fuser binary is used by opatch. Copyright (c) 2003 Oracle Corporation. All rights reserved. To resolve this problem, apply the patch p3238244_9204_LINUX.zip from http://metalink.oracle.com. See bug/patch 3238244 for more information. Before you apply the patch, make sure the instance is down! NOTE: Don't forget to undo the changes (links) to /usr/bin/gcc and /usr/bin/g++ if you don't need it any more. Also don't forget the /etc/ld.so.preload file. In order to install Oracle9i Release 2 (9.2.0.6) I've applied the 9.2.0.6 patch set for the Oracle database server (patch number 3948480) after the Oracle9i Release 2 (9.2.0.4) installation. For more information, see Oracle9i Release Notes Release 2 (9.2.0.4.0) for Linux x86 - Red Hat Enterprise Linux 4 Certification Update. Before you continue, ensure all the required RPMs are installed, see Packages (RPMs) for Red Hat Enterprise Linux Advanced Server 4 (RHEL AS 4). - Available Products:   Select "Oracle9i Database 9.2.0.4.0"
- Create database:      Select NO since we first need to patch Oracle database software! Now download the patch 4188455 from http://metalink.oracle.com. This patch is needed for launching the runInstaller that came with the patch 3948480 we just downloaded above. The /tmp/oraparam.ini file will now be used for launching the runInstaller that came with the patch 3948480. - Available Products:   Select "Oracle Universial Installer 10.1.0.3.0 !" - Available Products:   Select "Oracle 9iR2 Patchset 9.2.0.6.0"
After the 9.2.0.6 patchset has been applied, download the patch 4190568 from http://metalink.oracle.com. Also, download the opatch utility for release 10.1.0.2 (patch 2617419) from http://metalink.oracle.com. If you intend to use Direct I/O Support, you must also download and apply patch 2448994.
and restarted dbca. If you know a better solution, let me know! svrmgrl is not supported any more. You can now do everything with sqlplus. You can also use $ORACLE_HOME/bin/dbstart to startup the database, and $ORACLE_HOME/bin/dbshut to shutdown the database. You can place $ORACLE_HOME/bin/dbstart into the /etc/rc.d/rc.local boot script. to automatically bring up the database at system boot time. To get $ORACLE_HOME/bin/dbstart and $ORACLE_HOME/bin/dbshut working, you need to change the third field for your Oracle SID in /etc/oratab from "N" to "Y". But first make sure if your init file already exists in $ORACLE_HOME/dbs! Some of these problems apply only to 9.0.1! Do not cd to /mnt/cdrom to run ./runInstaller! If you do so, the installation will fail because you won't be able to change the CDs. In this case, I always had to kill runInstaller in Oracle9iR1 (9.0.1) which was still running in the background. If I didn't do this in 9.0.1, runInstaller didn't completely come up any more without displaying any error messages. You might also want to clean up /tmp/OraInstall. When runInstaller starts to configure the tools ("Configuration Tools"), the "Oracle Net Configuration Assistant" will sometimes hang. Simply stop the Assistant and restart it, or continue the installation. When the rest of the installation is finished, do a "Retry" for "Oracle Net Configuration Assistant". This always worked for me. When the system stops responding during the Oracle installation in particular during the database creation, then that's probably because you don't have enough RAM or enough swap space. I saw the whole system not responding or to "hang" for several minutes when I did not have enough swap space. If this happens, simply wait until the system starts to respond again. The Oracle installation also runs make etc. In a production environment you might not have compilers and other development packages installed. Therefore make sure you have temporarily the following packages installed: gcc, cpp, glibc-devel, compat-libstdc++, kernel-headers (for RH 7.1, 7.2, 2.1AS), glibc-kernheaders (for RH 7.3, 8.0, 9.0), binutils. See also Checking Packages (RPMs) for more information. You might want to check out the Oracle on Linux Discussion Forum. Here is a list of Oracle 9i (9.0.1 & 9.2.0) installation problems and issues. Some issues, errors, problems, and solutions apply only to 9.0.1 and some only to 9.2.0. Since I did not experience all of the problems here, I am not able to verify the correctness of all the solutions. However, I experienced most of the problems listed here. If you had other problems and you were able to resolve them, please drop me an email at webmaster_at_puschitz.com. First check always the error logs for 9.2.0 in /tmp/OraInstall (e.g /tmp/OraInstall2002-07-04_09-50-19PM), and for 9.0.1 in /tmp/OraInstall. When you get make problems, check also the file $ORACLE_HOME/install/make.log. Check also the other error messages below. See also Checking Packages (RPMs) for more information. I saw this error only when I installed Oracle9iR2 (9.2.0). This was also the only problem I experienced with Oracle 9i R2 on Red Hat 8.0. However, this does not necessarily mean that you won't experience other problems described here. Edit the file $ORACLE_HOME/ctx/lib/env_ctx.mk, go to "INSO_LINK =", and add a "$(LDLIBFLAG)dl" to the line and save it. After that hit retry in the error popup. Edit the file $ORACLE_HOME/ctx/lib/env_ctx.mk again, go to "INSO_LINK =", remove the above entry you made and add a "`cat $(LIBHOME)/sysliblist`" to the line and save it. I saw this error only when I installed Oracle 9i R2 (9.2.0). Then click "Retry" for the Oracle Database Configuration Assistant. For more information on setting shared memory parameters for Oracle, see Setting Shared Memory. After that I restarted the "Database Configuration Assistant". Once the installation was done I immediately restarted the DB as well. Caveat: I'm not sure if this procedure can cause any further problems if this is done during the installation. But so far I haven't seen any issues with this approach. If you get this problem in connection with sqlplus, then simply make sure that the database is down and exit sqlplus. After that, follow the procedure above by removing all shared memory segments that belong to the Oracle user. To my knowledge, this should not cause any problems. For more information on shared memory segments, see Determining Which Semaphore Sets and Shared Memory Segments Belong to Each Oracle Database or Instance. To solve this problem permanently, increase the kernel shmmax size. For more information, see Setting Shared Memory and Setting Shared Memory. "Error invoking target install of makefile /u01/app/oracle/product/9.0.1/precomp/lib/ins-precomp.mk"
"Error invoking target install of makefile /u01/app/oracle/product/9.0.1/precomp/lib/ins-net-client"
I saw this error only when I installed Oracle 9i (9.0.1). People have sent me emails pointing out that the following solution also works for Mandrake 8.1, Mandrake 8.2, and for SuSE 8.0. After that run the script. $ORACLE_HOME/bin/genclntsh as the user "oracle" and not as the user "root". Also make sure you have all the Oracle environments set correctly! After that hit Retry in the error dialog window. This always worked for me. "Error in invoking target install of make file /u01/app/oracle/product/9.2.0/network/lib/ins_oemagent.mk"
If you see this error on Red Hat Enterprise Linux 3, follow the guideline at Running Oracle Installation on Red Hat Enterprise Linux Advanced Server 3. But when you downloaded Red Hat 9 from redhat.com or from one of the mirror sites, then you will find glibc-2.3.2-11.9.i686.rpm on the image. This glibc version does not export __ctype_b(). This is also the case with glibc-devel-2.3.2-27.9.i386.rpm. then you have glibc packages on your system that don't work with the Oracle installer and you need to follow the "Work Around" procedure here. But if your system has the 2.3.2-5 glibc versions installed, then you are fine and you don't need to follow the described "Work Around" procedure! Since I was not able to find the glibc-2.3.2-5 RPMs available for download, I'm making the RPMs available on my website. These RPMs are copies of the glibc RPMs that came with the RH 9 CDs I bought in the store. I do not recommend to use any of the "compat" RPMs from older Red Hat distributions since RH 9 contains major changes. Download the 2.3.2-5 glibc RPMs from here on my web site. Now try to run runInstaller again. According to Red Hat, binary compatibility in Red Hat Linux is always guaranteed for binaries and shared libraries accross releases, but not for .o files nor .a files. However, compatibility is guaranteed for .o files and .a files. _within_ a realease. Since glibc-2.3.2-5 and glibc-2.3.2-11.9 are from the same release, compatibility should be guaranteed for .o files (Oracle's .o files which have been created during the Oracle installation) and .a files. This means that Oracle should be fine when you upgrade glibc after the Oracle installation. If you have any problems or issues with this solution, or if you have any comments, please let me know. You can find my email address at the bottom of this web site. You are probably trying to start the agent on RH AS 3. See Patching Oracle Intelligent Agent on RH AS 3 how to resolve it. Now try to restart dbca. Now you should be able to relink the oracle binary again. ./runInstaller: line 58: ./runInstaller: cannot execute binary file. You are probably trying to run a 64-bit Oracle version on a 32-bit Linux system. Make sure you downloaded the right Oracle version for your Linux system. This problem comes up on RH 9 and on RH AS 3. You probably forgot to set the environment variable LD_ASSUME_KERNEL to 2.4.1. For more information on this issue, see Red Hat 9. 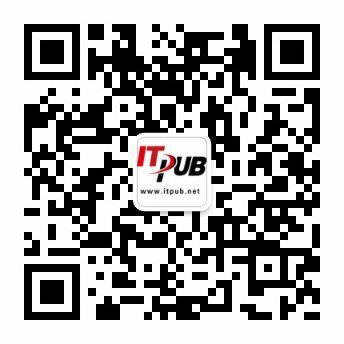 Can't find init file for Database "SID". I saw this error only with Oracle 9i R2 (9.2.0) when It tried to start the database with dbstart. "Error in setting permissions of file/directory /u01/app/oracle/jre/1.1.8/bin/i686/native_threads/.extract_args"
This happens if you didn't burn your CD correctly. Either you burn your CD again to include dot files or you copy the .extract_args file from your downloaded image to where runInstaller complains it is missing. First check if ORACLE_SID is set correctly. If ORACLE_SID is set correctly, then you probably have a trailing slash "/" on the ORACLE_HOME environment variable. Remove it and try again to connect to sys (e.g from ORACLE_HOME=/u01/app/oracle/product/9.2.0/ to ORACLE_HOME=/u01/app/oracle/product/9.2.0). "jre was not found in /tmp/OraInstall/jre/bin/i586/green_threads/jre"
You are probably running runInstaller on a 586 machine, or your AMD CPU gets recognized as 586 (e.g. AMD K6-III-400). You can check your machine (hardware) type by executing "uname -m". If you are not running on a 586 or on a AMD machine, try to link jre to java and see if this solves your problem. See also Checking Packages (RPMs) for more information. I experienced this problem when I was running the Database Configuration Assistant dbca on Red Hat 9 without setting the LD_ASSUME_KERNEL environment variable. Now try to run lsnrctl start as oracle again. Exception in thread "main" java.lang.InternalError: Can't connect to X11 window server using 'alpha:0.0' as the value of the DISPLAY variable. Ensure you followed the instructions at Starting runInstaller very closely.